Boy do I have a fantastic newsletter for you today - it's our one year newsletter anniversary! Weeeee! That's right you've been listening to your friendly neighborhood Livvielove rant at you about the stories and happenings going on around here for a full year and still survived! This newsletter will be posted a bit earlier than February (maybe by a few hours) because it fell on an unlucky Thursday night when I have early morning classes on Friday so... Pardon that! But still, most of you will read this in February, so happy love month! As a second note, thank you for voting in the last newsletter. By majority rule the winners of Story of the Month will now find out on the 1st of the month when I post the newsletter to keep it a surprise! Important reminder that February is our Golden Plumbob VOTING! Get out there and cast your vote so we can see 2019's lucky Golden Plumbob winners! We've got a lot of awesome events going on right now, including the Valentine's events! You can find them HERE for your holiday enjoyment. Go check it out, earn some medals, and share some love! We've got a LOT of new stories this month, so that would be an excellent place to start! This month we're doing a special focus on the Bachelor/Bachelorette Challenge! Itsjulie issued a challenge to everyone for the month of February only! Complete a Bachelor/Bachelorette challenge and win both a PULPER STAR for your star card AND a winner's choice medal! This is only for February, hence why I'm giving it a little spotlight! This challenge is well known for being very flexible and allowing for a great deal of fun and calamity! 1 Bachelor/Bachelorette, 7 (or more) potential matches all in one house... what could possibly go wrong? Set up challenges for them, or just see who has the highest relationship at the end of the sim-week and boot out the lesser! There's a million ways to play, so which will you pick? For incentive, all those who are interested can start eyeballing the winner's choice medals over here! Let's give a shout out to all of our amazing writers here on Boolprop! I now have an OFFICIAL challenge to initiate - I want you to give at least ONE Kudos to another author on Boolprop this month. Doing so and leaving your name (with a note on whether you'd like to be left anonymous or not) will grant you a PULPER STAR! That's your challenge let's see how many of you read this closely enough to find out; let's get started: ready, set, go! It takes 60 seconds to leave a nice (anonymous if you'd like) comment on a story that has taken many, many hours to make. Share some love today and let that author know you appreciate the time they spent! Limit 1 star per person. Radiochocolate celebrated FOUR years on Boolprop with Iron Values: Trailer Park Challenge on January 25th! 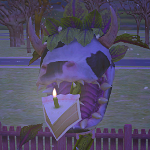 As Far As the World Goes by Noctie celebrated FOUR years on Boolprop on January 30th! Candi0207's story The Good, The Bad, and The Uglacy celebrated THREE years on Boolprop on January 2nd! DSLady celebrated TWO years with Runaway Gordon on January 20th! Mysterymusic7's The Kingdom of Celestia celebrated TWO years on Boolprop on January 20th! 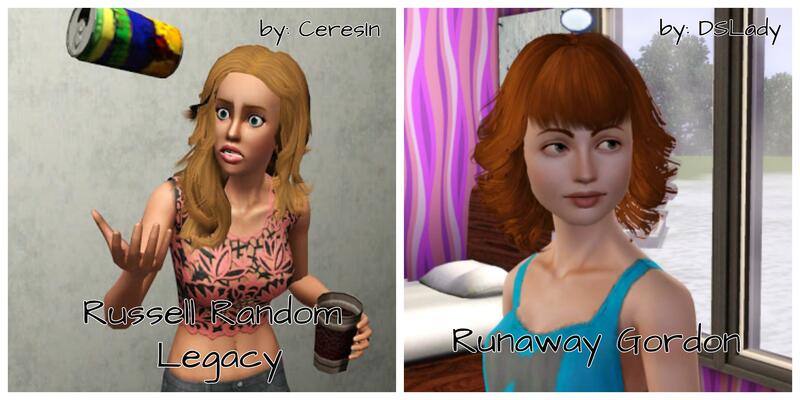 Skyes Family Legacy by sirladyjane celebrated TWO years on Boolprop on January 2nd! 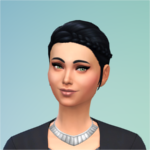 Mims 100 Baby Challenge by Jenn celebrated ONE year on Boolprop on January 7th! Loralie0512's 100 Baby Underwoods celebrated ONE year on Boolprop on January 7th! Gretski6 celebrated ONE year with A Drifting Nomad: A Drifter Challenge on January 1st! Spring Valley Prosperity by Hollywood3015 celebrated ONE year on Boolprop on January 24th! Some Kudos: You've been noticed! Prosper Boom, by simfulicious has come back onto Boolprop to continue the adventures of child-rearing! So glad to see you back! Rozenerami brought back The Televised Alphabetacy updates recently, and I just wanted to say I'm so happy to see it return! The humor is great and I look forward to seeing letters C-Z! I wanted to tell DSLady that she has great timing with her Runaway Gordon story. What a perfect time to come back to her challenge, swoop in and win Story of the Month, too? Well earned, no less! 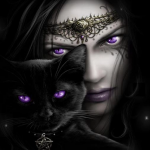 We have a kudos left by singinghymns for Teresa's Proud of Darkness for: "finding her inner darkness!" 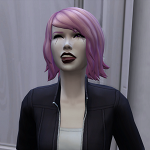 There's a kudos here for simsterlyrock as well from singinghymns in regards to the Double Legacy, for "having a great story TWICE!" We have one more kudos for the lovely Blamsart on her legacy story Light the way to heaven, for "being the most inspired, incredibly well written and moving story I've ever read. Your work is phenomenal!" Completed Stories: Congratulations on finishing! Manley Monster Mash by Teresa on January 23rd! Rowbottom's Wacky World by jcampbell on January 12th! Défi Adolescent Immortel by Livvielove on January 12th! Bram Stoker's Monster Mash by calientequeen on January 4th! 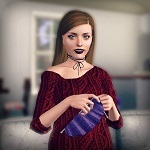 Lilith Pleasant, Immortal Teenager by simsterlyrock on January 20th! Have a great February, everyone! I hope your Valentine's month is super sweet and full of love! Awesome newsletter! As always! Thanks Livvie! And I can see I'm falling behind on all these stories I have to read! Thank you!!! It was a surprise and I'm very honored. Congrats to the Stories of the month, they are both amazing and well-deserved. Lovely newsletter, as usual! Thank you for the kudos...it has been a hard year for me so far, and this was a nice surprise! I hope to get back to my game soon. Love the newsletter! Thanks for making it, Livvie! There are so many stories that I haven't had the time to even look at.